Flowers that are not available naturally, but made artificially from various materials are known as Artificial Flowers. In other words, Artificial Flowers are imitations of natural flowers. Silk Flowers, Soap Flowers, Paper Flowers, Clay Flowers, Plastic Flowers, Porcelain Flowers and Leather Flowers are some examples of artificial flowers. 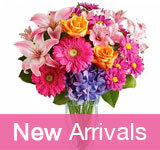 Artificial Flowers are indeed a replica of naturally available flowers. The art of making Artificial Flowers is so specialised that it usually takes more than just a glance to differentiate artificial flowers from natural flowers. Through the ages people have used different materials to make artificial flowers. The Egyptians used painted linen and shavings of stained horn; the Chinese used rice-paper; the Romans gold and silver. Silkworm cocoons were used in Italy while the South Americans used the plumage of highly colored birds. Modern methods include nylon netting stretched over wire frames, carved or formed soap, ground clay and mass produced injection plastic moldings. The French originally learnt the art of artificial flower production from the Italians. During the 18th century, the French honed their art and towards the end of that century the Parisian manufacturers enjoyed a world-wide reputation. The of manufacturing Artificial flowers was introduced into England by the French refugees around the same time, and soon it spread to America as well. The modern Artificial Flower industry is now a highly specialized one employing specialised processes. Firstly various fabrics and materials are cut and shaped into suitable forms to make the leaves, petals, etc. The process can done using scissors, but more often stamps are used to cut through a dozen or more thicknesses at one go. Using a die, the veins of the leaves are impressed, and with the help of goffering irons of various shapes the petals shaped into natural rounded forms. The petals and other parts of the flower are then assembled and the flower is built up from the center outwards. Lastly the flower and leaves are mounted and attached on a stalk. The stalk is made of brass or iron wire with a colored material wrapped around. A layered colored soap bar is mounted in a lathe and with the help of a chisel circular grooves are created. The finished flower replicates the natural symmetry of flowers.Inorder to maintain originality in each flower they are hand made. A more expensive and labor intensive process is also employed. A modeling paste is extracted by milling an oil-free soap and mixing water. Leaves and petals are embossed onto the material using stamps and rollers. Once the structure is comp[lete using either process, wire, wood and other mountings are used to craete the finish artificial flowers. Clay is used as a modeling paste by drying and grinding clay to a powder and mixing water. Artits then model the paste into flowers and leaves on stalks. Plastic flower production is a very specilaised art wherein mass manufactured injection moldings are used. The plastic is injected into a customised metal dies and identical flowers are mass produced. Porcelain is a type of hard semi-translucent ceramic generally fired at a higher temperature than glazed earthenware, or stoneware pottery. It is white, but mildly translucent and can be decorated to provide color. Flowers painted on porcelain or carved out of porcelain are known as porcelain flowers. Besides, many gift articles like flower vases, hair bands, beads, etc. are produced with flower depictions on them. These porcelain flowers can be cherished for a lifetime without any type of preservation methods. Porcelain Flowers just last long!. 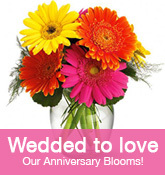 The advantage that an artificial flower arrangement offers is, if properly taken care of, it lasts for many years. Also, properly designed artificial flower arrangements can be just as beautiful as a real flower arrangements. 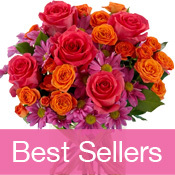 The key is to employ a designer who is skilled in designing artificial flower arrangements. Working with artificial flowers requires different skills and techniques compared to working with natural flowers. There are numerous resources online that offer a wonderful selection of artificial flower arrangements or methods to make your own artificial flowers. How To Make Clay Flowers?